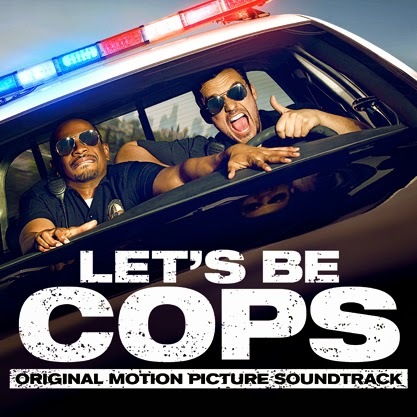 Lakeshore Records will release the LET’S BE COPS –Original Motion Picture Soundtrack, digitally on December 9, 2014. The album features songs performed by Moby, Cypress Hill & Rusko, Backstreet Boys and Havana Brown (featuring R3hab, Prophet). The album also includes a suite of the score, composed by Christophe Beck (FROZEN, MUPPETS MOST WANTED) & Jake Monaco. LET’S BE COPS is the ultimate buddy cop movie except for one thing: they're not cops. When two struggling pals dress as police officers for a costume party, they become neighborhood sensations. But when these newly-minted "heroes" get tangled in a real life web of mobsters and dirty detectives, they must put their fake badges on the line. The worldwide box-office hit is directed by Luke Green, and stars Jake Johnson, Damon Wayans Jr., Nina Dobrev, Rob Riggle, James D’Arcy and Andy Garcia. Composers Christophe Beck and Jake Monaco collaborated on the original score for LET’S BE COPS. Beck is behind the score to the Golden Globe- and Oscar-winning film FROZEN. His other credits include THE MUPPETS, MUPPETS MOST WANTED, the HANOVER trilogy, DUE DATE, DATE NIGHT and PITCH PERFECT. Monaco has collaborated, as score producer or by contributing additional music, with Beck on films including FROZEN, MUPPETS MOST WANTED, RUNNER RUNNER, ENDLESS LOVE and THE HANGOVER III. 20th Century Fox presents LET’S BE COPS, available now on DVD and BluRay. The LET’S BE COPS –Original Motion Picture Soundtrack will be available digitally on December 9, 2014.